The Verizon HTC One is a fantastic device if you take it at face value. By that I mean that when you compare to other phones, it has a class-leading screen, aesthetics and build quality that are a notch above most of its competitors, and it is just an overall nice piece of hardware. Unfortunately, however, the device is less than open towards aftermarket development. Despite HTC Dev unlock being possible on the device upon release, this was quickly closed off, and HTC Dev unlock was no longer possible. This would be no cause for concern if the previously covered Revone S-Off worked for the device. In fact, true S-Off such as what is achieved by Revone allows for even greater modification than the HTC Dev unlock—and you get the added bonus of keeping a non-voided warranty. Luckily, XDA Recognized Developer beaups took up the challenge, and has released Rumrunner S-Off for the Verizon variant of the HTC One. The actual S-Off exploit used in Rumrunner comes from Recognized Developers beaups and Fuses, and root comes from jduck. If these names sounds familiar, they should: Beaups (along with Elite Recognized Developer jcase, Recognized Developer dsb9938, and Forum Member dr_drache) were responsible for the Facepalm S-Off that worked with many HTC devices such as the One X and Droid DNA earlier this year. That was then, and this is now. And now, we have Rumrunner S-Off. And Fuses, well, there’s Moonshine, Lazy Panda, JuopunutBear… Shall I go on? As stated in the thread, in order to use Rumrunner, you must be on both the stock ROM and stock kernel. 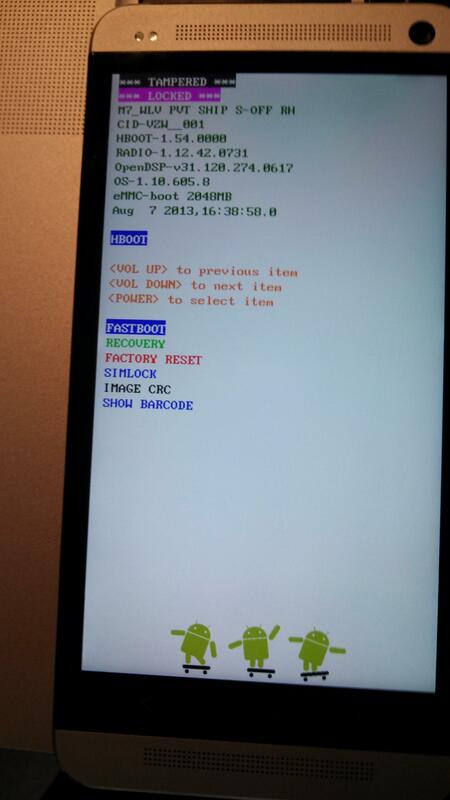 This doesn’t mean stock+root. This doesn’t mean “almost stock.” The steps required are fairly straight forward. However, be sure to read and understand the instructions before doing anything. You don’t want to end up with a shiny aluminum paperweight. To get started on your own device, make your way over to the original thread.